Café culture is on the rise in Delhi NCR. A mix of great food, coffee and cocktails in a comfy-plush environment is ideal for millennials who like to work out of cafes, spending hours chatting or playing board games with their friends or simply read a book over delicious cups of coffee. In all this though, food still takes centrestage. Bottom: Sweetcorn + Shiso Butter; Sweet Pots. When the Le Cordon Bleu trained chef, Jyotika Malik, relocated to Delhi after 16 years living across London, Switzerland, Mumbai and Dubai, she felt that there was a gap in café food that she wanted to fill. 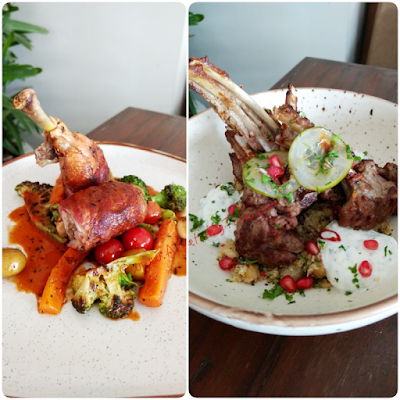 Having worked at The Dorchester Hotel in London, The Zodiac Grill in Mumbai and consulting many standalone restaurants in Dubai, as well as her enriching food-based travels across the world, Jyotika had many favourites that were missing in the existing cafes in the NCR. 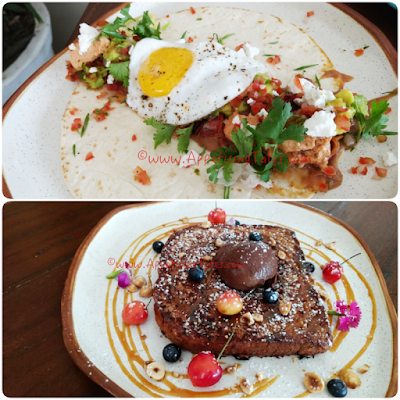 “Although I love food, I am also very conscious about what I put into my body; I enjoy clean eating and avoid tinned foods as far as possible,” she shares over a relaxed Sunday Brunch at her latest project: AD Singh’s All Day Café at Cyber Hub, Olly. She has thus put together an international menu with dishes that cross culinary boundaries. 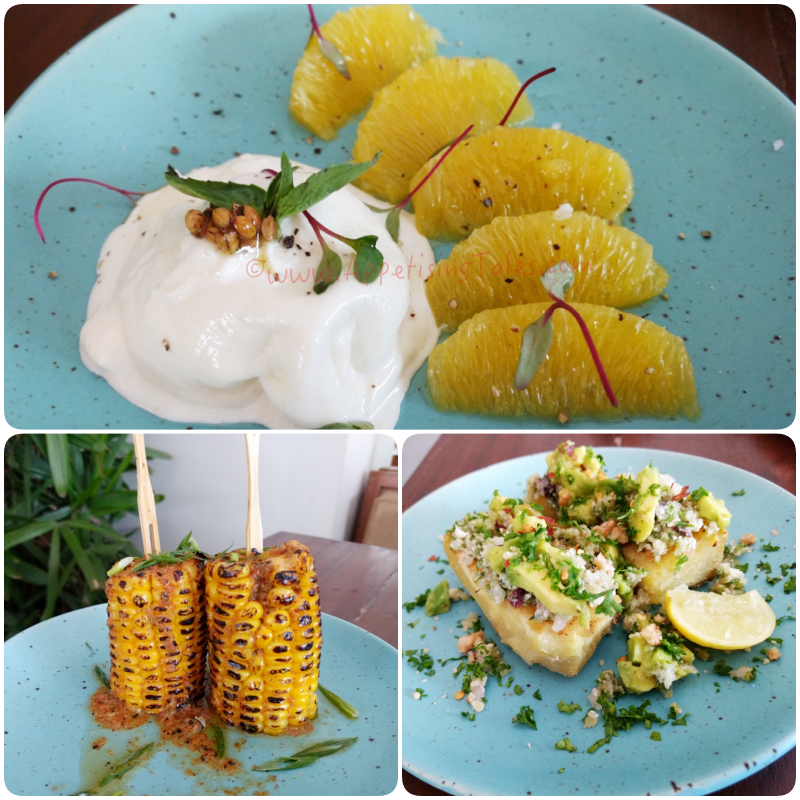 From breakfast to sandwiches and salads, pizzas and pastas to meals in a bowl, and tacos to Buddha bowls, there is literally something for everyone! While you may find a lot of comfort food, there are also some dishes with surprise ingredients that “encourage discovery” and allow guests to broaden their palate. - New School Porridge: This vegan, gluten-free and dairy free porridge is made with quinoa, millet, almond milk, coconut water, berries, chia, pistachio, cacao and dates. - Scrambled Eggs with goat’s cheese, oven roasted tomatoes, crispy kale and toasted sourdough. - Huevos Rancheros: A hearty breakfast dish of a fried egg, crispy bacon, refried beans, chipotle sour cream, fiery avocado and pico de gallo on a soft tortilla. - Sweet Pots: Grilled sweet potatoes topped with feta, chilli, lime, celery, parsley, cranberries, walnuts and avocado. - Big Cheese: Ottolenghi-inspired fresh burrata, honey, coriander seeds and orange segments. - Dip Dip: Quintessential Middle-Eastern za’atar pita with moutabal, muhammara, hummus and pine nuts. - Prawns Pil Pil: Classic Spanish prawns with chilli, garlic, parsley and baguette to mop up the delish sauce. - Lamb Chops that melt-in-the-mouth and are served with cauliflower couscous, spicy sesame cucumber and tzatziki. We really enjoyed her suggestions because these dishes are simply delicious! On our part we’d recommend that you don’t miss the French Toast. Made with brioche, it comes with contrasting textures and flavours of salted caramel, hazelnuts, dark chocolate ganache and berries. Pair your meal with refreshing cocktails or coffees like the Koinonia Original cold brew, Marvahulla single origin coffees or bespoke iced coffees such as salted caramel or the coconut iced latte and the toasted marshmallow iced mocha. 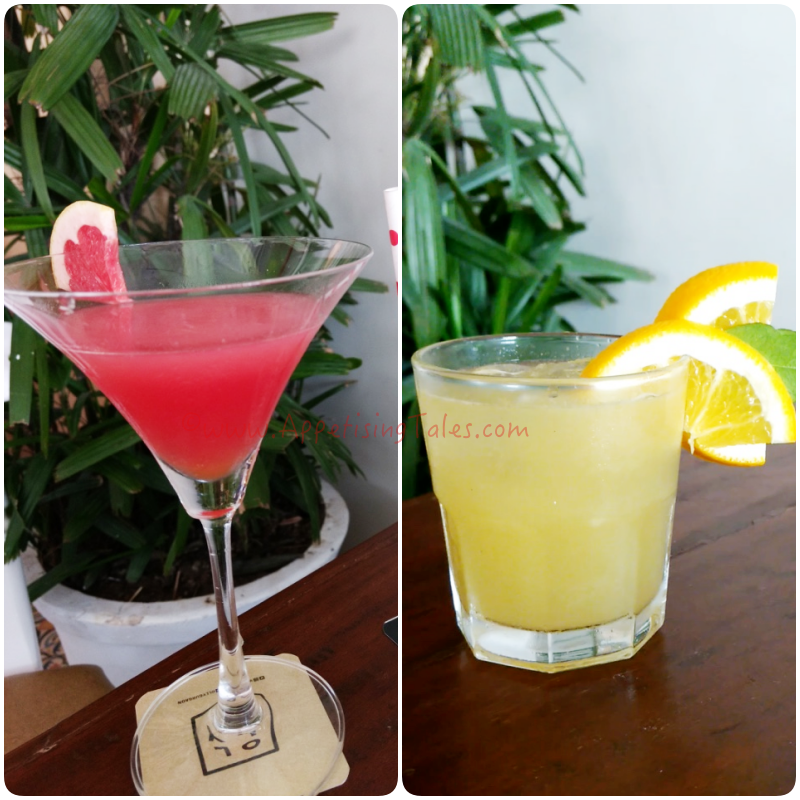 Pair your meal with refreshing cocktails, smoothies or some fine coffee. Olly, Shop 101, First Floor, Cyber Hub, DLF Tower 8th Rd, DLF Cyber City Phase II, Sector 24, Gurugram, Haryana 122008. An edited version of this article first appeared on BlackBook.net.in on July 23, 2018.